Remember that good old tidal-midi Haskell package? You won’t need it any more! Now you can control your favorite MIDI synth from Tidal with SuperDirt MIDI, and with no other dependencies. Ready to jump in? In this post we’ll cover prerequisites and usage. Make sure you have the latest SuperDirt quark. Uninstalling and reinstalling the SuperDirt quark might be easiest. 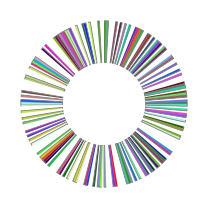 See github.com/supercollider-quarks/quarks for details. Above, we have stored a reference to the device in a variable named ~midiOut. That’s it for initialization. You should now have a MIDI device connected in SuperDirt, running as a synth named “midi”. d1 $ n "0 2 4 7" # s "midi"
That should play a simple four-note pattern. Notice we’re just using the synth name “midi” to send notes to the MIDI device. Piece of cake eh? d1 $ n "c4 d4 e5 g3" # s "midi"
d1 $ note "0 2 4 7" # s "midi" # midichan "0 4"
The above pattern plays notes “0 2” on channel 1 and “4 7” on channel 5.
d2 $ ccv 64 # ccn 30 # s "midi"
d2 $ ccv "20 40 60 80 100" # ccn 30 # s "midi"
d2 $ ccn "30*4" # ccv (scale 20 100 $ slow 30 sine) # s "midi"
Note that the left-most pattern defines the rhythm, as always with Tidal. let ringMod = 30 d2 $ ccv "0 20 50 60" # ccn ringMod # s "midi"
d2 $ ccv "0 20 50 60" # ccn ringMod # s "midi"
d2 $ density 8 $ stack [ ccn 30 # ccv (scale 0 127 $ slow 30 sine), ccn 31 # ccv "[0 70 30 110]/3", ccn 32 # ccv 10 ] # s "midi"
Welcome to a new series of “Function of the month” (FotM) blog posts. We hope to build up a comprehensive picture of TidalCycles by periodically making a post with a short video. We plan to be true to the name, and do this every month, with a focus on a particular function. However allow us to deviate from this plan immediately by first taking some time to describe how the different parts of a standard Tidal system works. Take this as a hopefully illuminating preamble for this series.. We’ll get onto specific Tidal functions in FotM #1! A video accompanying the below will go here, once we’ve made it. In the meantime please feed back with comments and questions on the below, which we’ll then be able to respond to in the video itself. 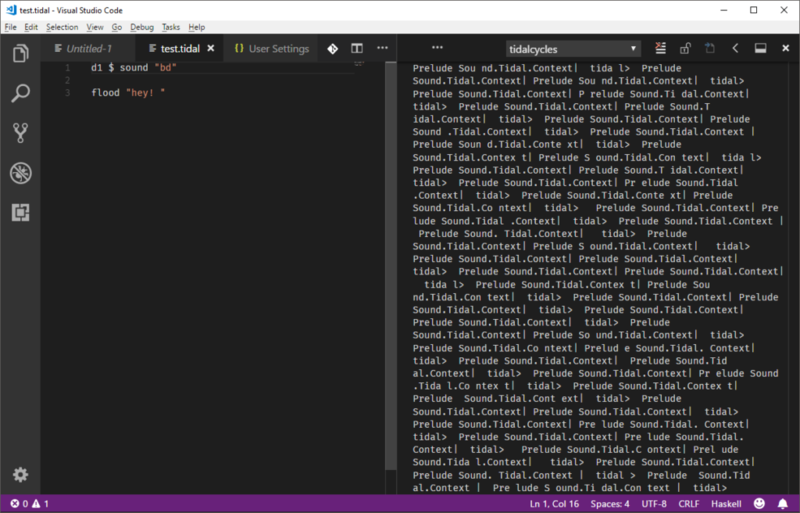 A complete TidalCycles system has a few components which we’ll tour around, the TidalCycles language for generating pattern from code, the SuperCollider synthesis system which hosts SuperDirt for turning those patterns into sound, and an editor such as Atom which acts as a text editor for writing those Tidal patterns. but lets start our tour with the TidalCycles language itself. 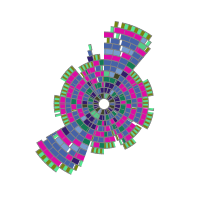 TidalCycles is a computer language for generating pattern from code. It consists of an expressive mini-language for describing polyrhythmic sequences, and a wide range of pattern operators and functions for patterning such sequences in a variety of ways. For example, by rotating them, mirroring them, shifting them in time, combining them into weird interference patterns, and ‘glitching’ the sequence with random numbers. You’ll have noticed that we often call TidalCycles by its shorter name Tidal. That’s actually what it was originally called, until someone started up a music streaming service with the same name, and we felt the need to differentiate.. 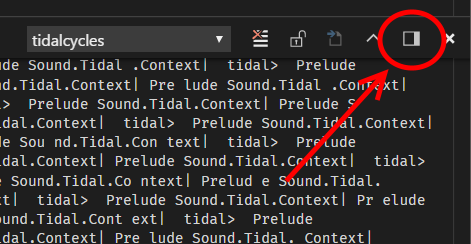 Tidal is written in a programming language called Haskell. Strictly speaking, when you’re making patterns in Tidal you’re mostly writing Haskell code, but in practice you don’t need to learn Haskell in order to be a top Tidal coder. 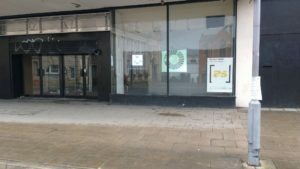 This is because Tidal is what is called a “Domain Specific Language”, embedded in Haskell, which supplies its own model of computation, operators, function and mini-language for sequences, all centred around pattern generation. That said, are some things about the underlying Haskell language that take a bit of getting used to though, like what that mysterious $ is doing, we’ll confront this in a later episode. It’s important to note that the Tidal language does not make sound by itself, it only makes patterns. It talks to other software or hardware to make sound (using e.g. the OSC or MIDI protocol), usually SuperDirt running in SuperCollider. However, quite a few people have plugged Tidal into custom software in order to generate patterned visuals, lights or even choreography. For now lets focus on the common case – SuperCollider and SuperDirt. 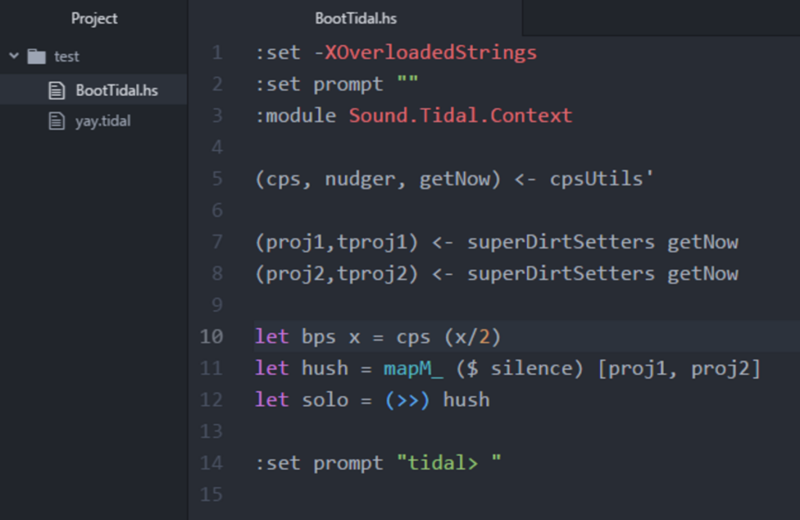 SuperCollider is the synth behind most desktop live coding systems, and by default, Tidal is no exception. As we said above, Tidal is made for generating patterns, but doesn’t itself make any sound, that’s why you need SuperCollider installed. 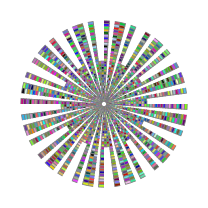 SuperCollider is a very well developed programming language that is designed for sound synthesis (and digital signal processing in general) that can itself be live coded. By default though, you’ll just use it in order to host SuperDirt. SuperDirt is a sound synthesis framework designed especially for TidalCycles, and written in SuperCollider. You don’t need to know anything about SuperCollider in order to run SuperDirt, you just have to start it up, and Tidal will by default send messages to it in order to trigger sounds. SuperDirt comes with a fairly large library of sound samples, as well as a range of synthesisers. With the latest version it is also possible to register MIDI devices with SuperDirt, so that you can trigger external sounds on soft/hardware synthesisers. This will be the topic of a FotM post later on. d1 $ s "cp supermandolin"
You’re sending two trigger messages to SuperDirt per cycle, first for the cp sound, and then the supermandolin sound. In the case of cp, SuperDirt will play a short sound sample, which it will find inside a folder called cp on your computer. You can find it from SuperCollider – from the menus select ‘open user support directory’, and then open ‘downloaded-quarks’ and then ‘Dirt-Samples’. You’ll see a bunch of ‘.wav’ files inside the cp folder, because cp isn’t a single sound but a set of them known as a ‘soundbank’. By default SuperDirt will play the first one – to play the second, you can specify cp:1 in your pattern instead (it starts counting at 0). d1 $ note "0 7 12" # s "supermandolin"
d1 $ note "c gs7 c6 gf4" # s "supermandolin"
Your main interface to all this is probably Atom, or otherwise one of the other supported text editors. Atom is where you type in and run your Tidal patterns, although strictly speaking, Tidal itself doesn’t run inside Atom but in its own process. You’ll have installed a ‘tidalcycles’ extension inside Atom, but this isn’t tidal itself, but an interface to it. Clear? Hopefully! Ok, that was a brief tour of the different components of a standard Tidal system. There’s a text editor Atom, sending code to a Tidal process to run, which in turn sends messages to SuperDirt to make sound, which in turn runs inside SuperCollider. Hopefully that’s straightened out some confusions, but feel free to ask some questions below! 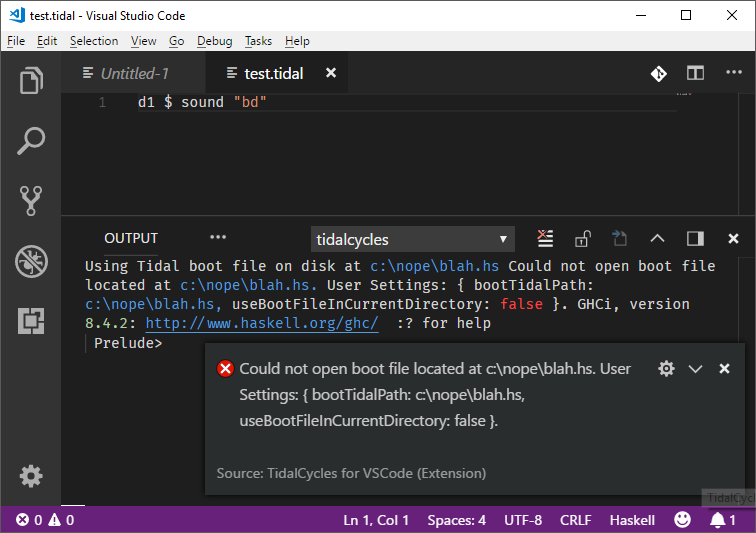 The TidalCycles extension for VS Code has a fresh update. A couple of improvements have been made around configuration setting errors and custom boot file path errors. A few minor versions ago, we introduced the ability to configure a path to a custom Tidal boot file. With that, you can now configure Tidal to load up all of your custom stuff in a seamless bootup sequence. However, if VS Code could not locate your custom bootup file it wouldn’t tell you. What’s more is that you can fix your boot file config settings and try to reboot Tidal without restarting VS Code. Fancy! Oh Hey One More Thing! 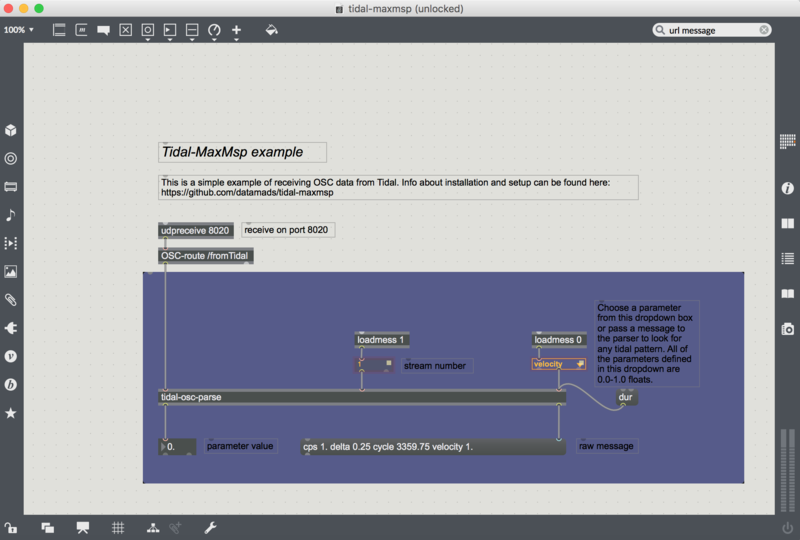 TidalCycles 0.9.8 newly out! It replaces 0.9.7 which didn’t work well with many haskell versions. Here’s a quick run through the changes since 0.9.6. Any problems or questions, join us on the #tidal channel on talk.lurk.org, or the tidal list on we.lurk.org. If you use cabal (rather than stack) to install, it’s just a matter of running cabal update then cabal install tidal from the commandline. I’m not clear on the best way to update using stack (as tidal hasn’t yet updated on stackage LTS), if you know please leave a comment! New function einv, which fills the “blanks” left by e. For example, e 3 8 "x" gives "x ~ ~ x ~ ~ x ~", whereas einv 3 8 "x" gives "~ x x ~ x x ~ x". Another new function efull which takes two patterns rather than one, combining e n k on the first with einv n k on the second. For example, efull 3 8 "2" "1" gives "2 1 1 2 1 1 2 1"
Yet another function distrib, which is similar to e, but takes a list of numbers. distrib [5,8] "x" is the same as e 5 8 "x", but distrib [2,5,8] will do something rather freaky.. It will take the (5,8) pattern as a starting point (which is "x ~ x x ~ x x ~") and then attempt to distribute two events evenly over those five xs as though they were contiguous, creating "x ~ ~ x ~ ~ ~ ~"). Basically, give it a list of numbers which increase in value and you’ll find some interesting off-kilter rhythms. d1 $ distrib [5,7,16] $ sound "bd:7"
Now you can give * and / subpatterns in the parser. For example "[a b]*[2 3]" would be the same as "[a b] [b a b]" (i.e. the first half of "a b a b", which is the pattern at twice the speed, and the second half of "a b a b b a b", which is the pattern at three times the speed). Now notes are floating point. This means that you can do things like d1 $ s "drum*8" # n (sine * 8). It also means that for some synthesised sounds you can play between the notes (microtones? ), e.g. d1 $ sound "supermandolin*8" # n sine. There have been other adjustments in this area, so previously where you had to do fiddly conversions between integers and floats, you no longer have to. Tidal now supports the latest version of ghc (8.4.1). You should probably be running at least 7.10.3 by now but older versions may still work. Exciting SuperDirt update to follow soonish, including new MIDI support.